Cyclic I can understand, because it's not a counterpart to another mod. Is anyone else getting corrupted graphics on menus and inventory bar? I only seem to get it with this pack. Sometimes it also corrupts all of the text on the screen instead. Each (slow) restart it looks a bit different and about 1 time in four it looks fine. i7 processor, 16G ram (6 assigned to the pack) geforce 970m gpu. This screenshot has both the text and the buttons/windows problem. wich operating system and Nvidia-Driver (version) do you use? Who has a public server they want promoted? It needs to be up-to-date most of the time. yes I will update it very regularly and promptly. Is not it enough to update the server twice a week? I backed up my save, and installed a fresh instance of the pack and its ok now. EDIT: Is this for the default server list? I added a github suggestion for adding MineTogether, then remembered their was a default server on the list, then i got all confused and deleted the issue. Modern Skyblock 3, FTB Direwolf20 1.12, FTB Horizons III, vanilla, network economy, and more! Am thinking of making a server for 6 people. I want to make a starter island with teleporters to everyone's own starter place where they could type /islands to set their own progression..
Is there an easy way to set their spawn so the island they choose actually spawn where i have set spawn for that player ? 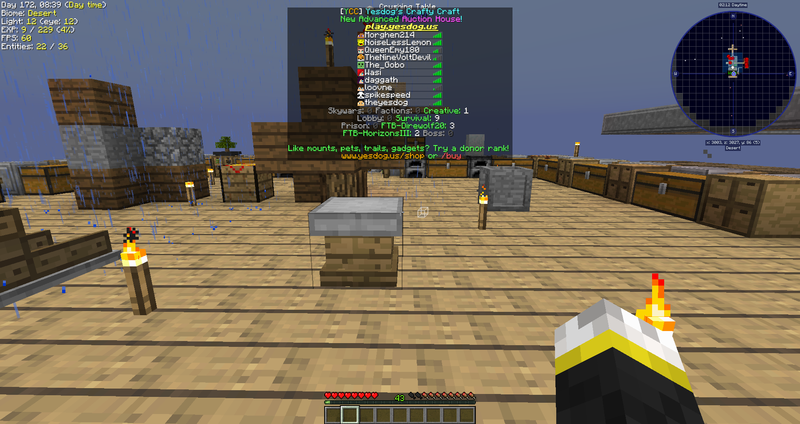 Why did you add BuildCraft? The pipes cause a lot of lags. 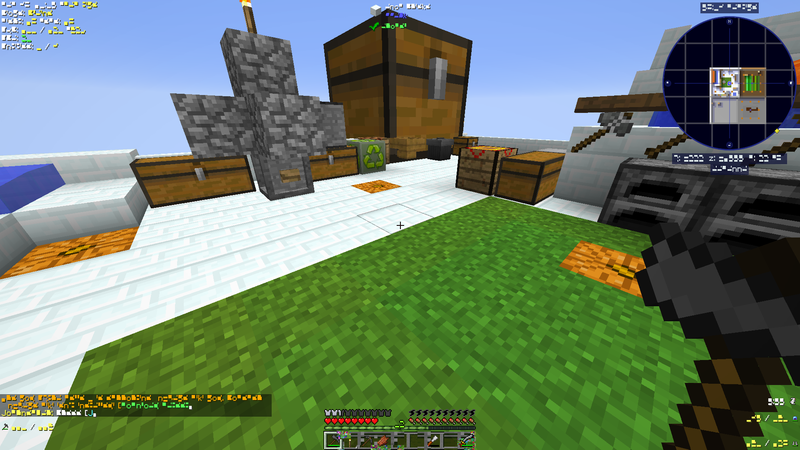 Did you remove the crafting recipe for Transfer Pipes from Extra Utilities 2 and Fertilized Dirt from RandomThings? Not the former, but I did remove the latter. After the last update we noticed that the recipe for Transfer Pipes won't show up on JEI. We don't really know why, even tried making it manually and on the worktable but no dice. Transfer nodes and the like still show up, however. Would love to be added to the public Listing..
We update anytime there is a new Release. Did someone order a new poll? Is there a command to reset your quest book? atm /leave island or /island reset will not reset the quest book.. I have a few players that wanted to get out of staged mode.. but they seem stuck. Any update on the requirements for adding servers to the default server list? Valkyrie was down for a portion of the day yesterday, might be good to add another server for those players looking to do multiplayer. Remade the folder, working now. Guess one of these mods is susceptible to the nondeterministic class-loader order.... that'll be fun to tackle every update. EDIT: I double lied. 3.1.3.4 does not seem to work with sponge. I'm going to try and figure out which mod it is... any chance you have a list of what mods were updated? Could save me some time.